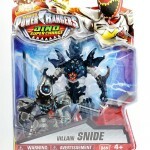 There’s a new villain in town and his name is Snide! And it’s up to the Power Rangers Dino Supercharge Rangers to stop him as he takes the reigns from the former villain, Sledge, in an attempt to gather the Energems and conquer the universe! 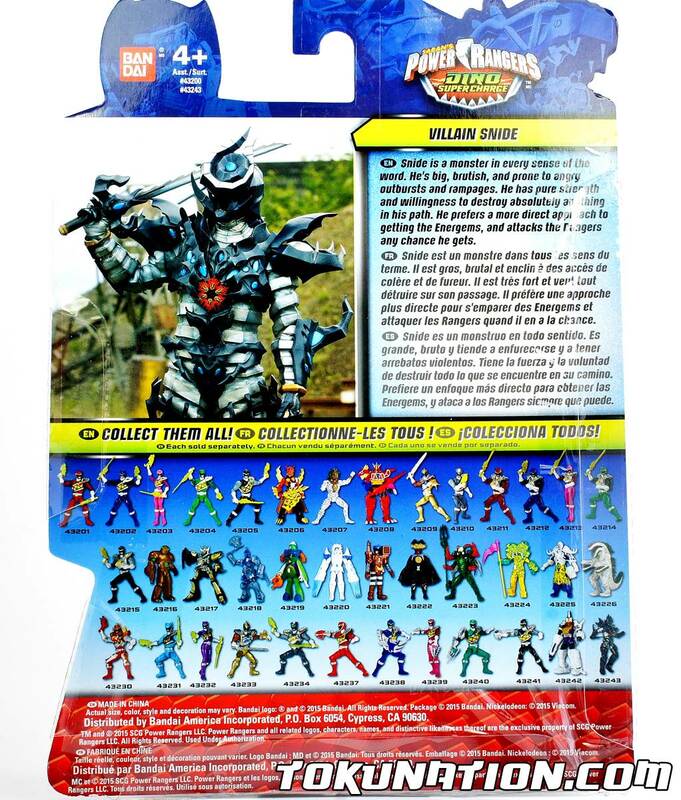 The character Snide may look familiar – and it’s because his Super Sentai counterpart, Neo-Geildon, is an upgraded from of the villain from the Super Sentai series Bakuryu Sentai Abaranger known as Geildon. 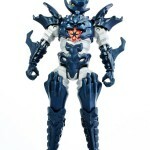 Fans of Power Rangers know that villain better as Zeltrax from Power Rangers Dino Thunder. 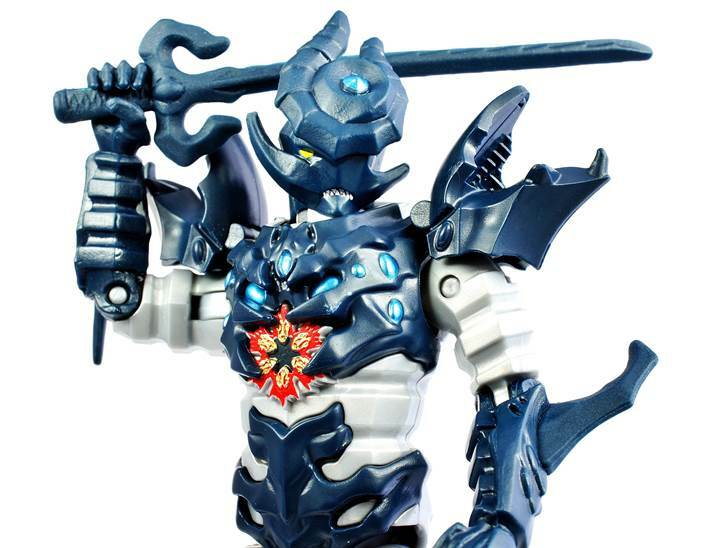 His only appearance was in the Go-Busters vs. Kyoryugers movie, making his appearance in Power Rangers Dino Supercharge an entirely new appearance for the character. Sadly, he shares no relation to the original Zeltrax. 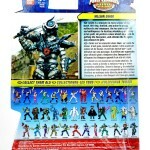 The toy itself was part of the first wave of toys for Power Rangers Dino Supercharge although the assortments are all sorts of crazy – his most notable release was in the wave of figures that contained the Power Rangers Dino Supercharge Rangers with their Dino Steel modes (armored with their individual weapons). 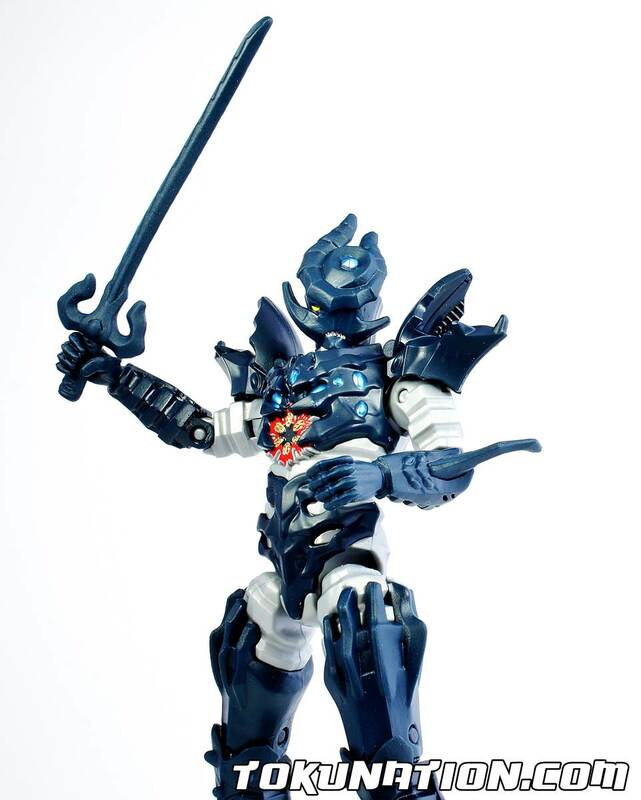 Check out over 25 high resolution images of this character by clicking here or on the “Discuss on TokuNation forums” link as well as our review! What do you think of this figure? Do you share our opinions? Sound off! In honor of the premiere of Power Rangers Dino Supercharge and the brand new villain of the series, we decided to put up this gallery a little earlier than anticipated. The evil Snide is the monster form of another character named Heckyl who both apparently share the same body but not the same mind. But they both have one goal in common - getting the Energems and destroying the Power Rangers Dino Charge team! But how does the figure stack up? For starters, Snide has a decent amount of articulation - 13 total points (1x head, 2x each arm, 2x each leg, 2x elbow and 2x knee joints). 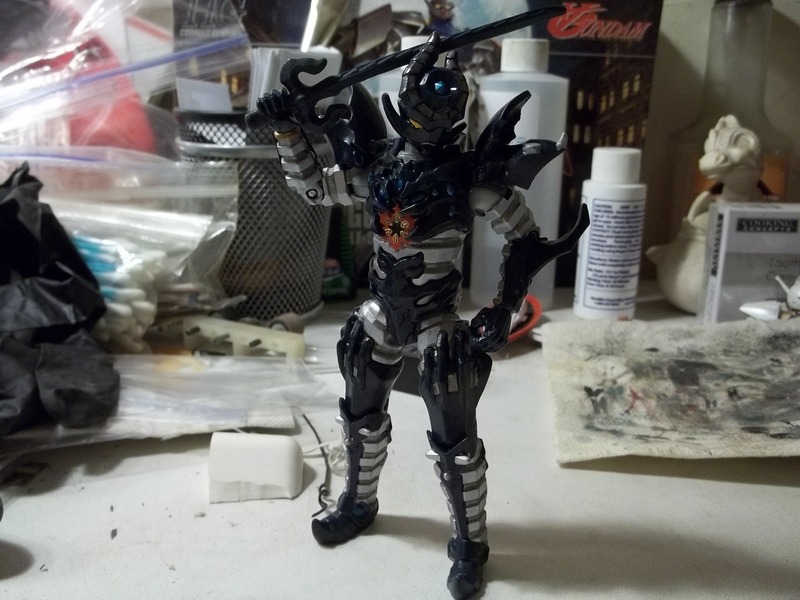 This is not a bad amount, but for a figure that wields a long sword it's somewhat disappointing that your articulation is limited because of no ankle or wrist swivels that we've come to enjoy with most of the other figures. The sculpting? Absolutely gorgeous as we've come to expect from Bandai America. Sadly, again as we've come to expect, the paint application is lacking. Yes - the red decoration on the front of his body is well down (check out the pic in the gallery). And his eye and his teeth being all individually painted is impressive, but the second you flip the figure over you have a solid off-white back. I know, I know - nothing is going to change (unless he becomes a Legacy figure and costs us another $5) but I'm hoping someone somewhere reads this and sees how something that could be a top tier figure gets lessened as you feel you have to FINISH PAINTING IT YOURSELF to get the figure you're supposed to get. Argh. 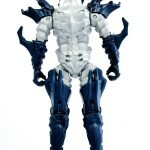 A strange feature - his shoulder pads are on hinges that move up as to not block the articulation of the arms. But unlike Sledge's where they were further down his arm as to not interfere at all, Snide's are actually on the shoulders, meaning his arms cannot go straight up - they will always have to be at an angle at best. 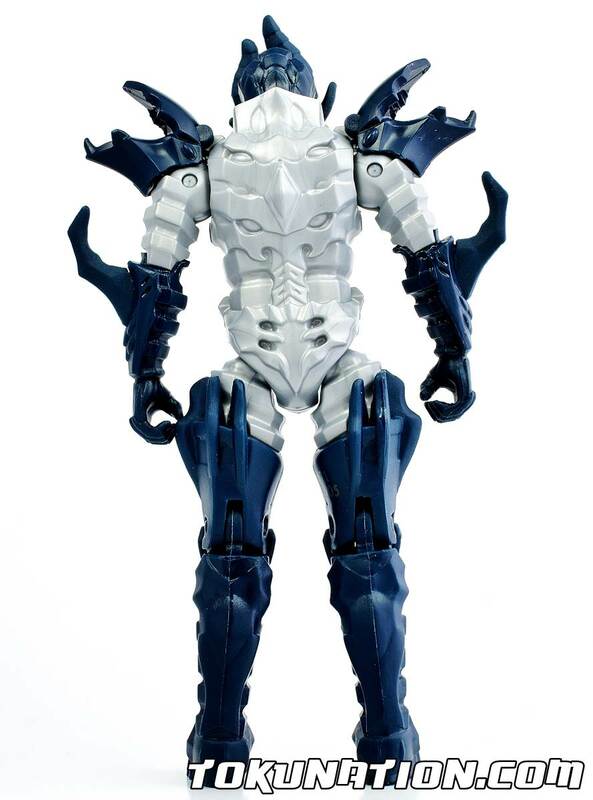 So while the figure LOOKS cool (from the front), I wish it had wrist and ankle/thigh articulation (like the Ranger figures get) and as always, more paint. 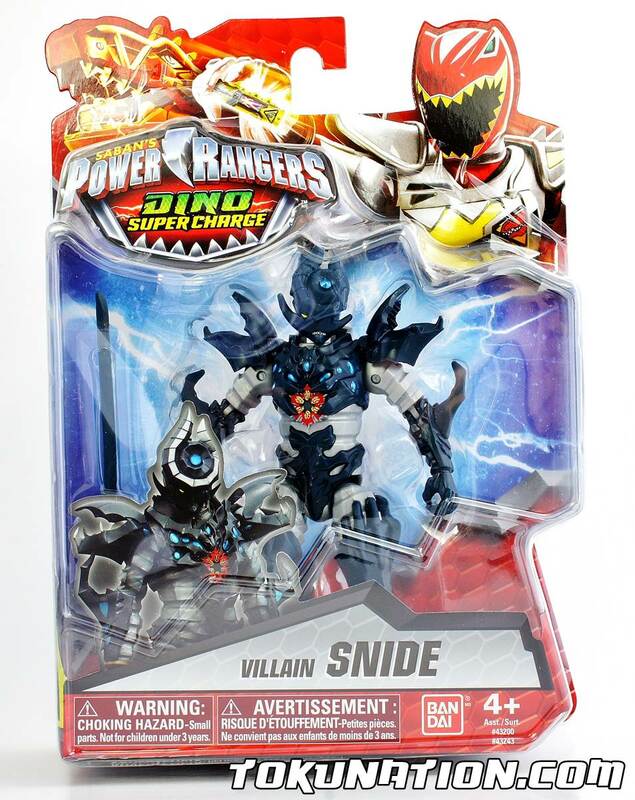 Snide comes with a sword. We're not quite sure why (his Sentai counterpart had an axe ... but then again, he was only seen in the crossover movie and not the regular series, which is part of Snide's charm as he is more or less an original villain in the series). Either way the sword's hilt looks pretty normal for an evil bad guy's sword, but it has very little detail other than that. So on to the bullet points. Yay bullet points. Maybe I'm being too hard on Snide. 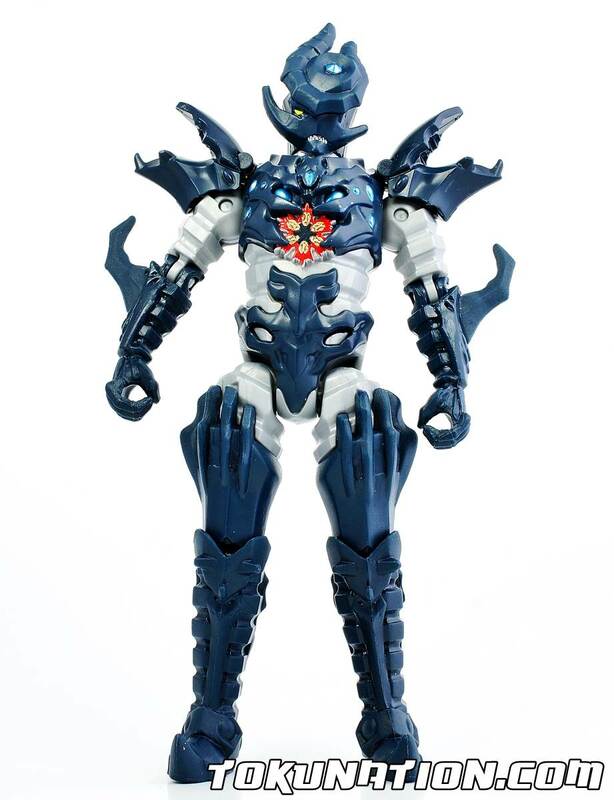 For a brand new mold, this character has tight joints, overall looks pretty sweet (...from the front), and is the major villain for Power Rangers Dino Supercharge. At the same time, when I look back at Sledge or Wrench I ask myself why we couldn't have had an ankle or wrist swivel as to better pose the sword with. 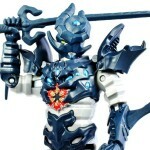 Either way, I think this figure is worthy of being in any collector's collection ... just make sure he's facing forward. I painted my Snide figure/Apparently on all Snide's, the eye is misplaced on the figure. 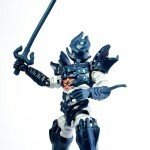 I'm planning on buying a hobby lathe to make his axe & shield out of wood & make resin replicas. I like it, overall. I have low expectations for villain figures though. 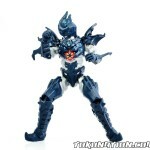 I might sound crazy but this guy definitely looks like a Sentai villain to me. I like the figure but at the same time I don't. I blame the lack of wrist and ankle articulation limiting his posability. I'm wanting to paint mine sometime. What color did you use for the blue parts? It's a real shame it doesn't come with the rest of the weapons. They need to make the movie ranger articulation standard.